Game developers RTG (Realtime Gaming) have designed the Cash Bandits 2 to offer up more excitement, prizes, and loot! 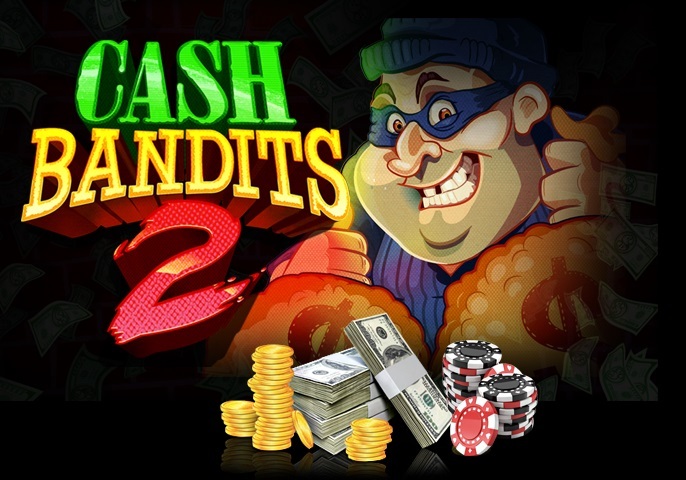 The first Cash Bandits game hit the scene in 2015, and considerable advances in casino technology have improved overall gameplay in Cash Bandits 2 release the summer of 2017. Players who have experience with the original Cash Bandits slot will appreciate the newly upgraded graphics and new players will appreciate the cops and robbers theme for the first time. 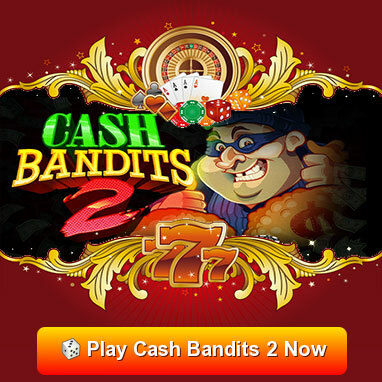 Cash Bandits 2 is now available for play at Old Havana Casino, try it today! The new Cash Bandits slot has great new features, expect hours of entertainment from these goofy Robbers. Cash Bandits 2 is also now available to play on mobile devices. The game is also available on instant play and casino download play platforms. There is also a mini game feature where players must use skill to unlock a vault for the ultimate in juicy loot! When a player reveals three or more scatter symbols during play the exciting vault feature is unlocked. Players of Cash Bandits 2 can hit one of two major or minor progressive jackpots or win up 50,000 coins on just one spin. More bonuses like 190 free spins and 17x multipliers make this brand new online slot game very attractive!